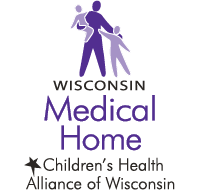 Though pediatric ambulance runs are infrequent for most Wisconsin EMS agencies, they often are very critical situations. Children are not tiny adults. That’s why it’s important for your EMS agency to be pediatric ready. Use these pre-hospital pediatric resources to make sure your EMS agency is ready for children, no matter the call. PECCs are EMS team members who ensure the pediatric perspective is included at their agencies. 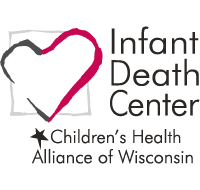 PECCs communicate with emergency departments and coordinate pediatric injury prevention activities and education. Wisconsin EMSC is committed to increasing the number of PECCs in the state. Emergency situations can be scary for kids. The Pediatric Comfort Kit contains items to soothe, comfort and distract kids during an emergency. 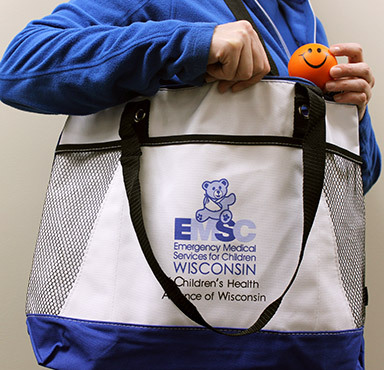 Every emergency response team and emergency department should have a pediatric comfort kit on hand to help kids feel less scared during difficult situations. 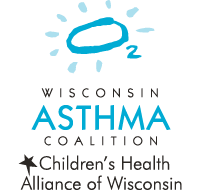 Children are anatomically and physiologically different from adults, and need specialized assessment, equipment and medication dosages. 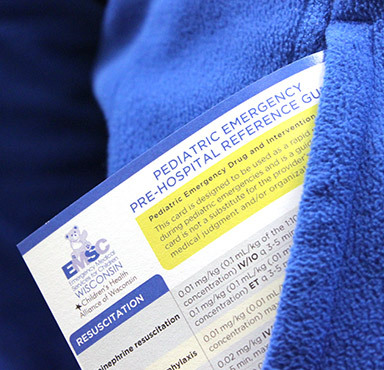 Use the Pediatric Pre-Hospital Reference Guide for fast facts during pediatric emergencies. Every emergency response team should have a reference guide on hand. The American Academy of Pediatrics, the National Association of State EMS Officials, EMSC and other partners have developed this list of essential pediatric equipment for ground ambulances. Find emergency medical service providers in your county. This toolkit provides guidance for physician medical directors and EMS administrators on the roles and responsibilities of the EMS medical director and the incorporation of pediatrics into EMS medical oversight. Use these resources to ensure that patient and family perspectives, choices, knowledge, values, beliefs and cultural backgrounds are incorporated into the planning and delivery of care. In a disaster, it’s important to have appropriate pediatric equipment and supplies, medical oversight, protocols and guidelines, and training in the care of children. 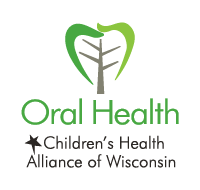 This toolbox provides the most recent guidelines, resources, position papers and journal articles on pediatric equipment guidelines. 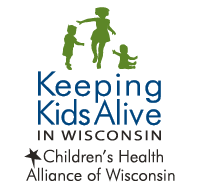 The assessment and management of pediatric pain can be a real challenge for health care providers. Learn how to better understand, assess and relieve children’s pain in pre-hospital settings. Identify educational needs, develop curricula and establish standards to ensure pre-hospital professionals have the knowledge and skills necessary to provide safe, effective, family-centered emergency care for children. 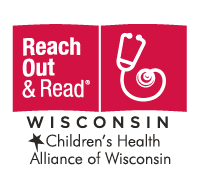 A quarterly newsletter highlighting pediatric emergency care news and events. 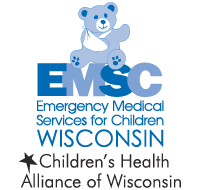 Emergency Medical Services for Children is funded by the Wisconsin Department of Health Services, Division of Public Health, through the National Emergency Medical Services for Children program, administered by the Health Resources and Services Administration’s Maternal and Child Health Bureau.